Most vegetarians in the western world come from meat-eating families and therefore grew up eating meat. In either their teen years or early adulthood they made the decision to adopt a vegetarian lifestyle, for health and/or ethical reasons. They are often the only vegetarian in their family(like me!). As far as I know, I come from a long line of meat-eaters, and the same goes for most vegetarians in the western world. However, there is one group of people who have been vegetarian since very ancient times, since almost the start of civilization itself – These are the Jains of India. Just imagine for a second being a Jain. Your brothers and sisters are vegetarian, your parents are vegetarian, your grandparents are vegetarian, your great grandparents, great great grandparents, etc(makes me wish I was a Jain!). Being a vegetarian is an important part of your religion and identity, and it goes so far back in your family that it is shrouded by history. Eating meat would be an act of rebellion or a terrible sin. Jainism is often mistakenly thought of as a sect of Hinduism, or is sometimes confused with Buddhism in the west. The truth of the matter is that it is even older than Hinduism, and seems to have influenced early Hinduism. Jainism was probably founded around the 9th–7th century BCE(or earlier) by someone named Pārśva, the 23rd Tīrthaṅkar(a “facilitator of enlightenment” or “teacher”) of Jainism. Although he is 23rd, he is the earliest Jain Tīrthaṅkar accepted by scholars as being an historical figure. Judging by that date, he probably didn’t use the internet to popularize his message. But the message got out, and it spread, thanks in large part to Mahavira(599 BCE–527 BCE) one of its great reformers and teachers. He was also the last Tīrthaṅkar. Amazingly, the message of these original teachers has survived through all these turbulent years. 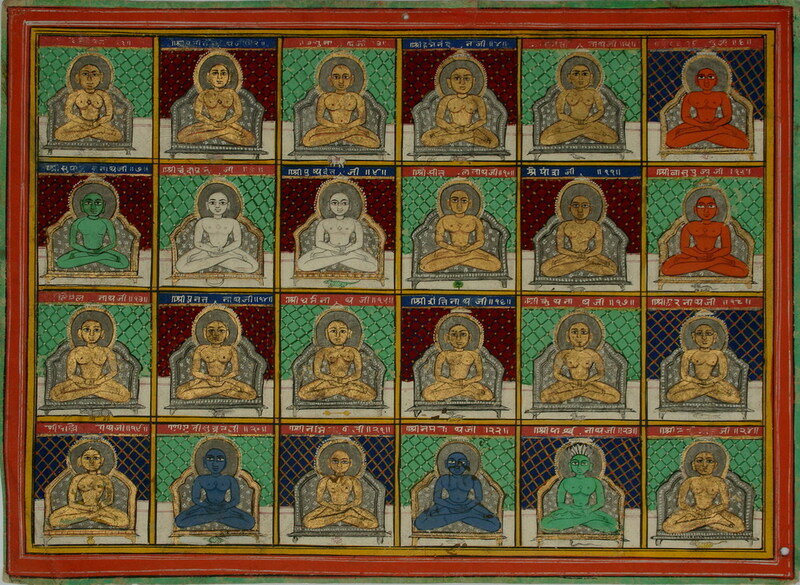 Jainism has accumulated a vast literature, and has influenced Hinduism and Buddhism. It usually co-existed peacefully with other religions, though was very occasionally persecuted by Hindus. India itself has been subject to countless invasions over the past few thousand years. There are about 5 million Jains in the entire world with most of them living in India. Of all religious groups in India, Jains have the highest literacy rate at 94%. Due to their high educational attainment, Jains have long been influential in science, engineering, academia, and the arts, in spite of being a tiny group. Non-violence(related to the concept of “Ahimsa”) is of extreme importance to Jains, of which their vegetarianism is a logical outgrowth. Strict Jains will avoid hurting or killing insects, since they believe even insects have souls. Some very strict Jains take this even further and will avoid killing plants for similar reasons. Obviously, they will eat plants since they have to eat something to survive, but they will only eat the parts that don’t result in killing the entire organism. While most Jains are vegetarian, many are adopting veganism, seeing it as the next logical step in the evolution of the religion’s dietary practices. There are a few sects of Jainism, and they may approach vegetarianism differently. There is so much more to Jainism, like its metaphysics and rich history, but since this is a vegetarian blog, I wanted to focus on the vegetarian aspect of this ancient religion. Considering all the benefits of a vegetarian lifestyle, those ancient Jains were way ahead of their time. Visit Vegan Jains if you want to learn more about Jain veganism. This entry was posted in health, vegan and tagged Ahimsa, eastern mysticism, eastern religions, Indian vegetarianism, Jain influence on Hinduism, Jainism, Jainism is not a sect of Hinduism, Jainism is not Hinduism, Jains, Jains veganism, Mahavir, Mahavira, Parsva, religion and vegetarianism, Tirthankara, veganism and religion, vegetarian religions. Bookmark the permalink. Thank you for reading. I hope you’re doing well, and Happy Holidays!